More about voting: The first round of voting will take place exclusively with our Greene Space in-house audience to determine the top five artists of the night. At 9am on Saturday, March 6, the top five artist’s performances will be put online at www.thegreenespace.org and open voting will begin. Only one vote will be permitted per person. Voting will be closed at 11:59pm on Friday, March 12. 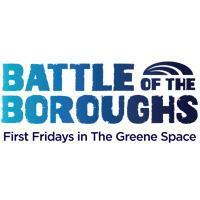 The winner of the Brooklyn “Battle of the Boroughs” will be announced Monday, March 15 at 4pm on Twitter, The Greene Space Facebook page, and on the official Greene Space website. Congratulations to our entire Brooklyn lineup–what a night!